I awoke to a bright and sunny morning – just the thing that any organiser of an outdoor event hopes for. 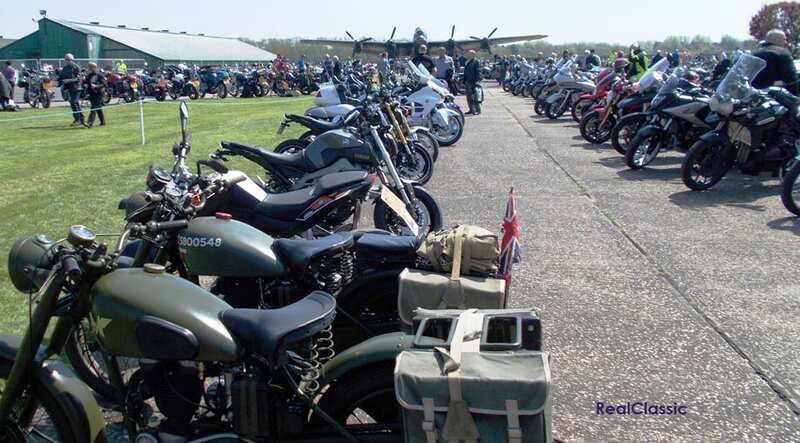 The members of Skellingthorpe and District Motorcycle Club are the main organisers of this ride-out from the Lincolnshire Aviation Heritage Centre at East Kirkby. The club was also helped and supported by Carrot Cycles of Lincoln. This is a massive ride-out, with hundreds of bikes of all ages taking part. Since 2008 when they took over running the Wolds’ Run, the Skellingthorpe Club has raised a total of over £41,000, which has been donated to the Lincolnshire and Nottinghamshire Air Ambulance. I arrived early, at about 9.30 am. The stewards were quick to put down pieces of plywood by your machine so that you could use the sidestand safely. Signing-in was done very efficiently; blue stickers were issued to classic motorcycles made before 1993, and red ones for later machines. 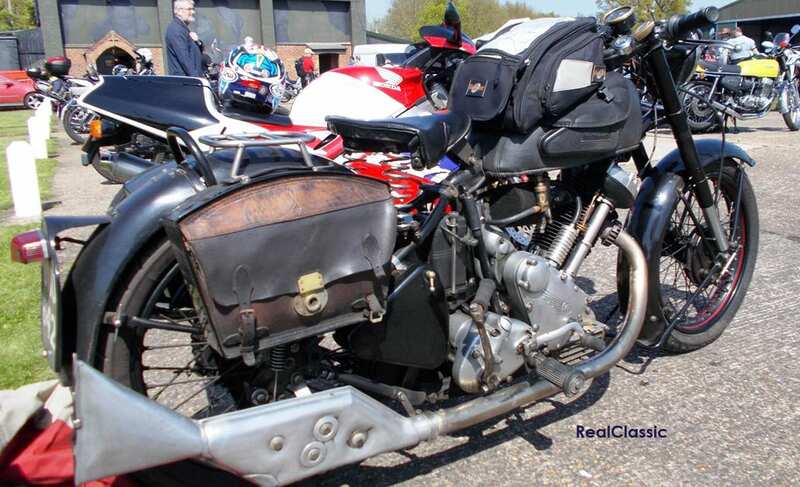 I felt sorry for the rider of a very nice Norton single. He arrived at the signing-in point to do the necessary; however the bike did not like the idea of going any further and it refused to start. The owner and his friend tried kicking it, but to no avail, so they then pushed it in. One of the main attractions at the Aviation Centre is the Lancaster aircraft Just Jane which does taxi runs. You can’t easily forget the sound of the Lancaster’s four Merlin engines being revved at the end of her run! The Large Model Flying Club also attended and put on a marvellous display. From a distance these model aircraft looked just like real planes! 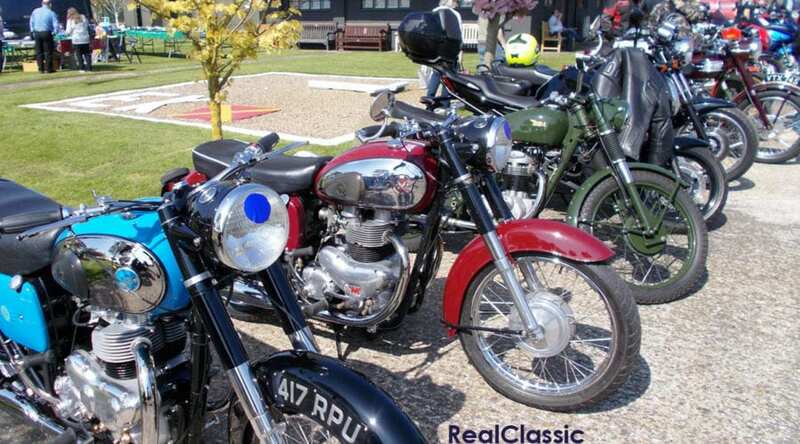 There’s certainly lots to see and do here; combined with the ride-out, it makes a great way to spend a day. 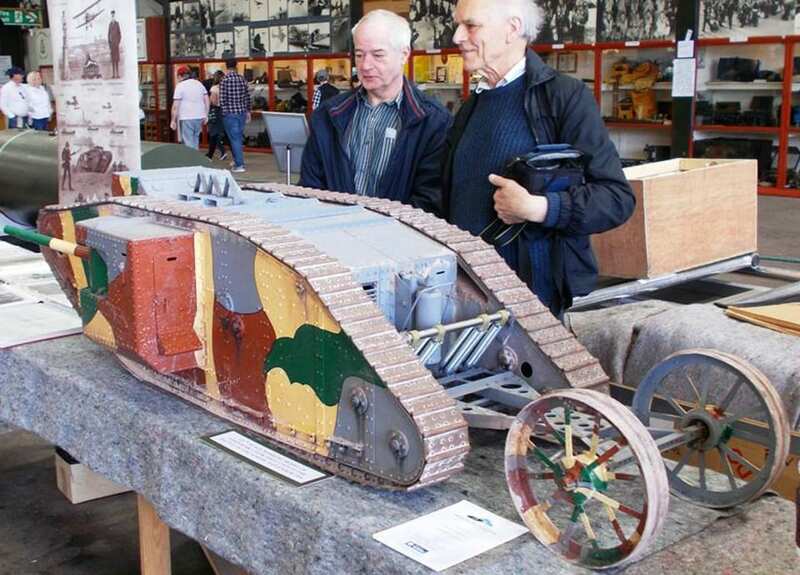 Back on the ground, two model WW1 tanks were on display – the actual tanks were originally built at Lincoln and the guys on the stand were very knowledgeable about the subject. In the field close to the large model flying display there was another new display for this year – a small-gauge steam engine with a couple of carriages giving people rides. This proved to be popular. Another newcomer was a Mosquito aircraft at the back of the hangar. This needs a quite a lot of work and when this has been done it will hopefully be able to taxi on the airfield. The first group of motorcycle riders set off for the ride-out as Just Jane began her taxi rides. The bikes ride out in groups of 60 riders, taking part in an enjoyable forty-mile ride around the local area. Over 400 bikes went on the run this year, paying £8 apiece; well worth it. 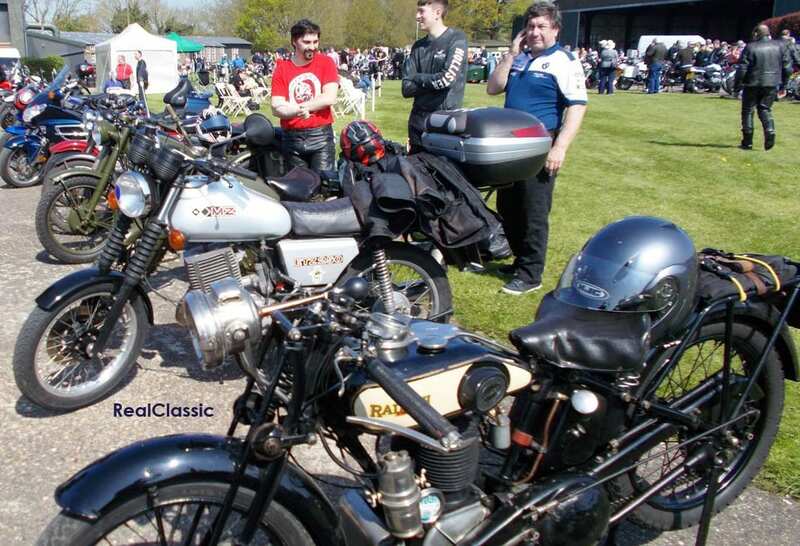 By the time the first riders set off there were plenty of parked-up motorcycles to look at. 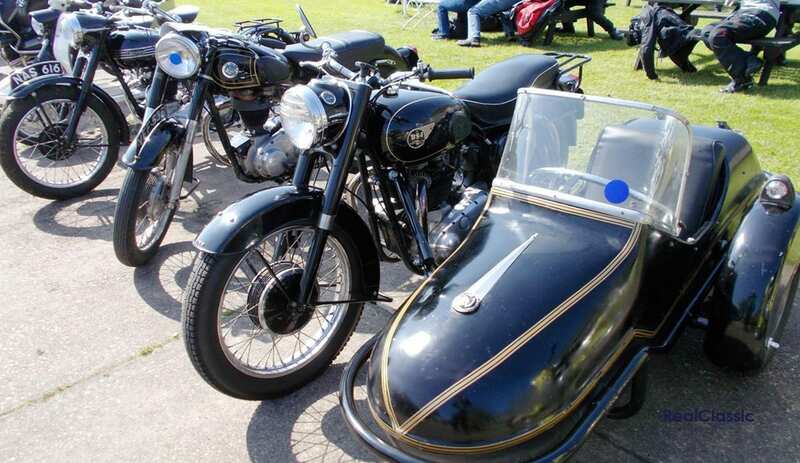 Something different that caught my eye was a BSA three-wheeler – not so many of these around. A young lady was taking photos of it, and it transpired that she was the owner’s daughter. She told me that she had recently passed her driving test, although her father had not let her behind the wheel of this machine yet! Outside the hangar were several racing motorcycles on display. Two mono-wheeled motorbikes were something different to look at. 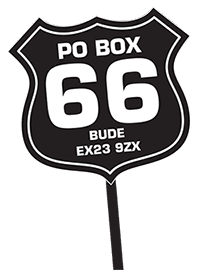 One of these had attained a speed of 61.18mph at Elvington Airfield on 20th September 2015, and it had a Guinness World Record certificate to prove it. One of the single-wheelers was ridden around the site. Getting the balance right looked to be a bit tricky, and quite a bit of footwork was needed. 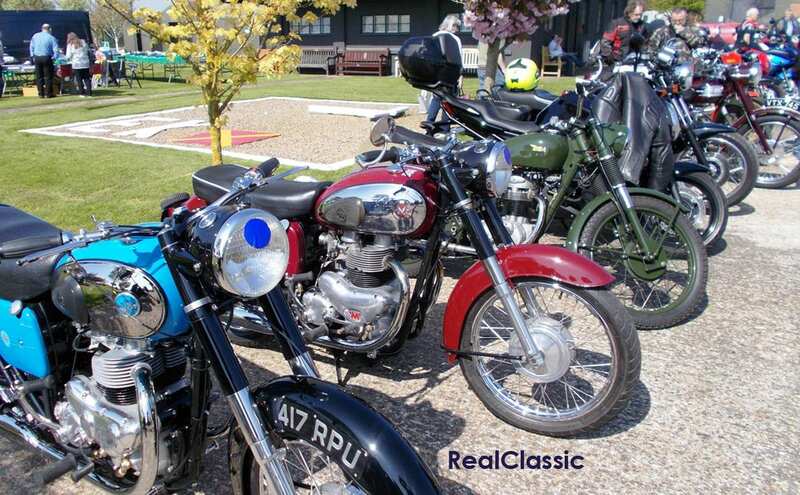 The Aviation Centre is well worth a visit in itself but for the Wolds Run, with all the motorcycles and large model planes on display and taking to the air, it’s even better. On a day like this it is surprising how many friends you can catch up with there. The ‘naafi’ were serving meals and snacks, and there were lots of other food outlets to keep you fed. As it was a hot day, the ice cream sold well too! Well done to everybody involved in this event. I will be back next year.